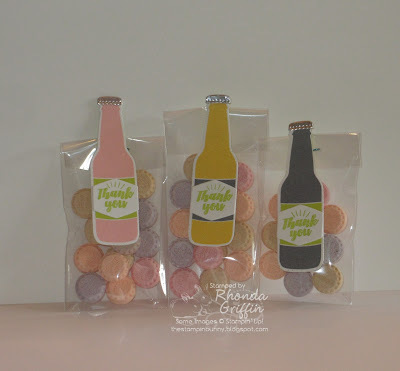 I made these Bottle Cap candy-filled Bottle Treats using the Bottles from the Designer Series Paper, but they would be just as fun if made using the Bubble Over Stamp Set with the Bottles and Bubbles Framelits Dies. The bottle caps are so quick to die cut from Silver Foil Paper because Stampin' Up! gave us two dies of each size! 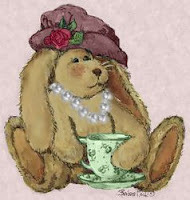 I stamped the Thank You from the set and punched using the matching die for a cute "Thank You" for my customers. Bottle Caps aren't everyone's favorite, but it was too cute not to make these!